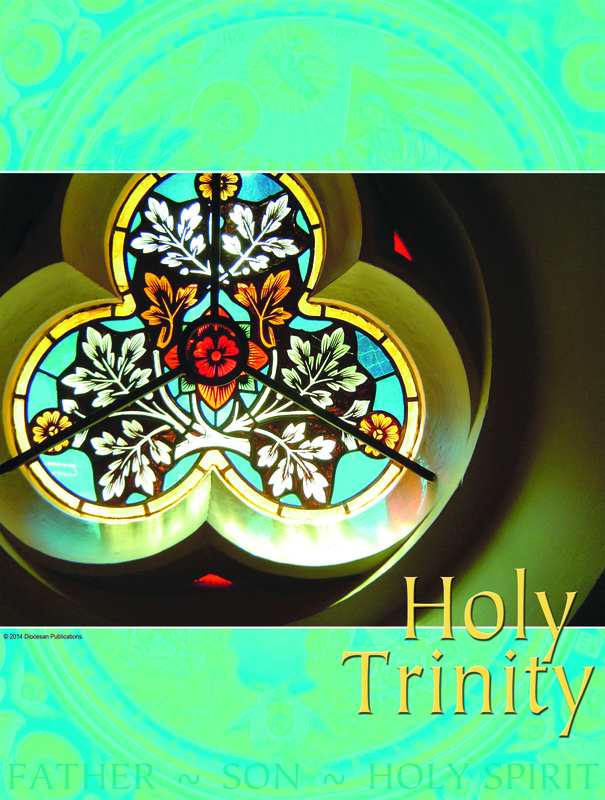 The doctrine of the most Holy Trinity is a very basic truth of our faith as Christians. It explains the nature of our God: three persons in one God. This is not easy to understand because it is a mystery. A mystery is anything that remains unexplained or unknown to the human person. However, the church has made some attempts to explain it but not exhaustively. St. Augustine of Hippo in his effort to understand this mystery of the Holy Trinity went to a lonely place by the river side to meditate. While there he saw a small boy fetching water from the river into a small hole, and he asked the boy ‘’what are you doing boy?’’ the boy answered him saying: ‘’I am trying to empty this river into this hole’’ Augustine said to him, ‘’that is not possible because the hole is too small to contain the water from the river’’. And the boy also said to him, ‘’what you are trying to understand is not possible because you brain is too small to comprehend God as he really is’’. Another way to explain the Trinity is to use water. Get ice and put in a pot and begin to heat it, you will notice a gradual change of this ice from solid to liquid and then to steam while it is still the same water. Again, we can use music to give some explanation when three distinct musical notes are played and then three harmonious codes. Three persons are represented by the distinct notes and then one God by the harmonious codes. The big lessons for us to learn from the Trinity are: love, unity, service, and community life. Right from creation the three persons of the Trinity have been involved in the work of love and salvation for human beings. We are being encouraged to emulate the love of the persons of the Trinity in our everyday life and relationships. To show that we are true children of God, we must be like him. We have been created equally by God to live together as brothers and sisters of the same father. Therefore, we must have faith in God, and trust and share with one another the things he has given us in this world. Let us avoid discrimination and looking down on another for we are children of the same father. This is what the church is teaching today on the feast of the Most Holy Trinity. And every teaching of the church is from the Bible. The creed, Gloria, sacraments mass etc are all from the scripture. The teaching authority of church tries to give us the correct teaching of the Bible that is coming from the apostles. The Catholic Church has a syllabus of teaching of a three year cycle to enables us read through the entire Bible without picking and leaving some part of it. We priests and religious teachers follow this syllabus given to us by the teaching authority of the church to teach you accordingly. We do not teach you from our personal thinking or understanding but from the understanding of the church who is the custodian of knowledge and truth about God and his church. Every priest and religious teacher in the church has been well trained, certified and qualified to carry out such duties. So as Catholic Christians we should be proud and happy that those teaching us are qualified and are doing so with guidance from the teaching authority of the church made up of experts in scriptural and theological studies. And this is coming from the teachings of Jesus handed over to the apostle and then down to our present age. Today we celebrate the second greatest feast in the Church. Pentecost is next to Easter in the order of greatness in the Church’s celebrations. It is a great day in the life of the church. We are celebrating the descent of the Holy Spirit upon the apostles fifty days after the resurrection of our Lord Jesus Christ. The Holy Spirit gave the apostles courage to proclaim the gospel of Christ. That Spirit is still at work today in the church even as I am talking to you now. The Holy Spirit gives us the gifts of faith, understanding, tongues, interpretation, healing, love and prophecy. All of these are to enable us proclaim the gospel and make disciples of all nations. Before then Jesus had given his disciples the gifts of ‘’ Our Lord’s Prayer’’; he gave them a new commandment, ‘’Love one another as I have loved you’’; he gave them the sacrament of his Body and Blood in the Eucharist, priesthood, sacrament of reconciliation and he raised marriage to the status of a sacrament. 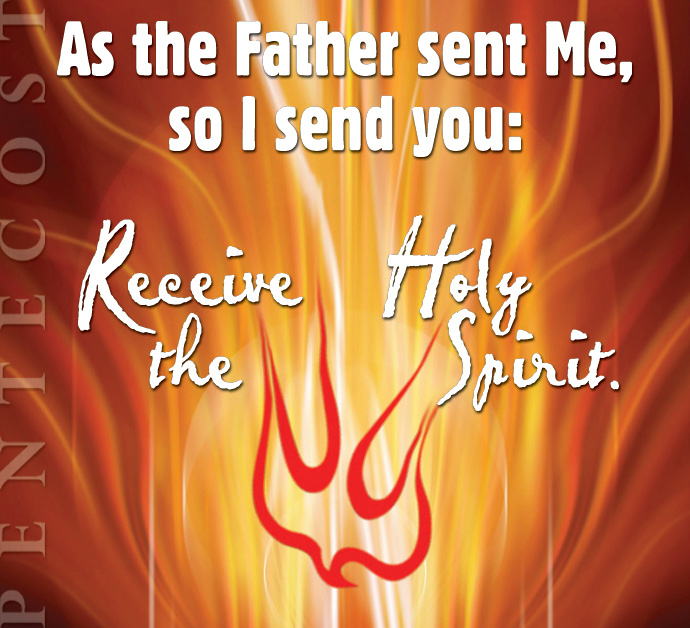 The gift of the Holy Spirit is the greatest of all these gifts because it is the third person of the blessed Trinity. The Holy Spirit was given to the Church to empower her to evangelize the world. On that day, we are told that the apostles were gathered to pray and tongues of fire rested on them; coming with the sound of thunder and earthquake. From that moment onward, the apostles were filled with the power of the Spirit; and began to proclaim the gospel boldly without fear. On that day alone 3000 men and women got converted and were baptized. And from then the gospel spread to all parts of the world. This day is called the birthday of the Church because that was when the Church was confirmed and strengthened to carry out her mission of spreading the good news of Christ. Of course, the Holy Spirit did what Christ promised he will do: to enable the apostles to know and do more for God. As soon as they received the Holy Spirit, they were transformed and empowered to work for God. We too as Christians, when we were baptized, we received the Holy Spirit which was confirmed in us during our confirmation. That is to say, the gift of the Holy Spirit in us reaches maturity. And at maturity, it begins to bear fruits. It empowers us to do great things for God. It enables us to exercise different gifts and ministries. St. Paul tells us today in the second reading, that all of us who have the Holy Spirit in us are in position to exercise those gifts and services. These gifts are not the same in each one of us, but different from person to person. However, they are all from the same source, and given to us for the purpose of building up the Church. The Church started with a small group of Jews in Jerusalem and little by little the Church spreads to half-Jews, the Samaritans, and finally to non-Jews or Gentiles. It spreads from Jerusalem to other parts of the world. This happened with the help of the Holy Spirit which empowered the apostles to make disciples of all nations. That is the character of the Church: seeking to include all peoples of every race, nation, culture, and ethnic background. The Church seeks to include all classes of people and to make them feel at home. Pope Francis said recently that we are not tenants in the Church, but that we are at home. The Holy Spirit is one, and it seeks to unite us as children of the same father. When Peter spoke that day, everybody heard him, even those who could not understand Hebrew. The Holy Spirit was able to unite the people as they listen to him. Therefore, we should seek to include others in our lives as a family and community of God. 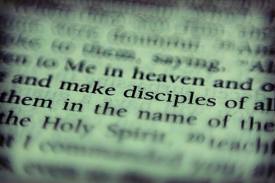 Let us allow the Spirit to use us to make disciples of all nations. The Church is a home for everyone, so it is our duty to seek and welcome everybody in. Make yourself available to the Spirit of God to use you to do great things for him.